The methyl acetate production process SL TEC propose is based on the condensation of acetic acid and methanol over a solid acid catalyst. This kind of catalyst is the best solution when high yields, low acetic acid and methanol consumption, consistent product and low equipment corrosion are required on reliable basis. Under normal operation, this catalyst has an average service life of three years or longer. The reaction conditions are moderate, however, as methyl acetate, methanol and water will form binary and tertiary azeotropic mixtures, it is very difficult to prepare high purity product by conventional methods. 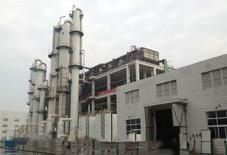 In the traditional process, one reactor and nine distillation columns are required to produce high purity methyl acetate. And they have main disadvantages incl. 1. The synthesis of methyl acetate is reversible, and due to the limitation of chemical equilibrium, the conversion yield is low. 2. Methyl acetate-water binary azeotrope, methyl acetate-methanol binary azeotrope, and methyl acetate-methanol-water ternary azeotrope have boiling points quite close to that of azeotrope, thereby, it is difficult to separate and the product purification is very complicated. 3. 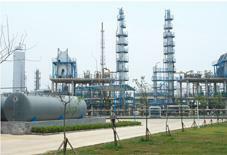 Large amount of non-reacted methanol and acetic acid are recycled in the system, which complicates the separation process and requires large equipment investment and results in high energy consumption. To solve the aforementioned problems, SL TEC has developed Reaction-Distillation Process. It integrates the reaction and separation, i.e., the reaction takes place at the same time as the non-reacted RM is separated from the product. 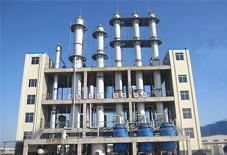 In this way, the concentration of the product in the reactor is increased, thereby the reaction rate is boosted, moreover the incurrence of side reactions is inhibited due to the isolation of product out of the reactor in time. Thereby the conversion yield is effectively upgraded. Besides, the esterification heat is made use of as the heating source for vaporization to save energy consumption.